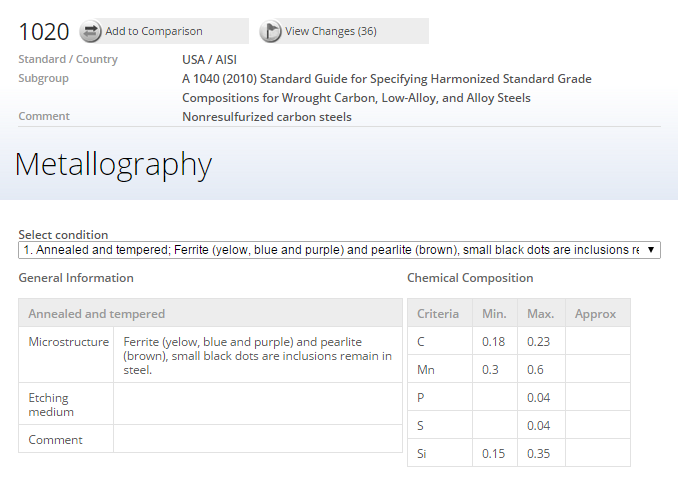 DataPLUS, a new module providing corrosion data, material joining information, material dimensions and tolerances and coatings information helps drive even more accurate material selections! High chromium cast irons (HCCI’s) exhibit very good mechanical properties and offer benefits for a range of manufacturing applications. One of the main flexibilities exhibited is the possibility of HCCI’s to have different matrix structures in different treatment states whether it be austenite in casting state, pearlite in annealing state, martensite in quenching state, and tempered martensite in tempering state. High chromium white cast irons are an important class of wear resistant materials. Their exceptional wear resistance is the result of their high carbide content, which forms along with austenite during solidification as a pro-eutectic or eutectic phase depending on alloy composition, and particularly depending upon carbon and chromium content. In general terms, the high chromium iron suitable for wear resisting applications fall within the compositional limits bounded by the austenitic phase field of the ternary liquidus surface of the iron, chromium, carbon diagram. Solidification takes place by a eutectic process The products of the eutectic reaction are austenite and chromium rich carbides of the (FeCr7)C3. 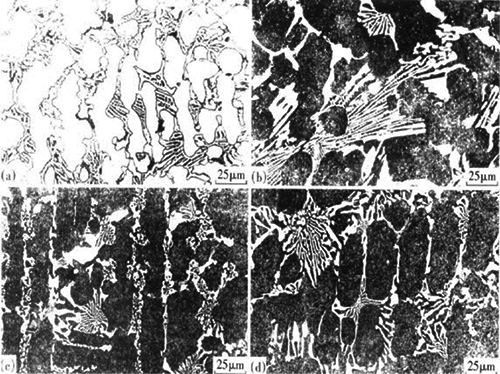 For high chromium white iron with a Cr concentration of some 18 - 20 wt% (hypoeutectic composition), solidification starts with the nucleation of dendritic primary austenite (γ), followed by the formation of γ + M7C3 carbide and its morphology have been well documented by several researchers. The high chromium white iron (HC-Wi) has an austenitic matrix structure at ambient temperature with chromium carbide dispersed within the matrix. 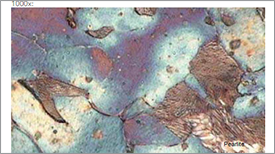 The wear resistance of this material is achieved at the surface when the abrasive particle or impact load transforms the unstable Austenite to martensite by strain induced mechanism. 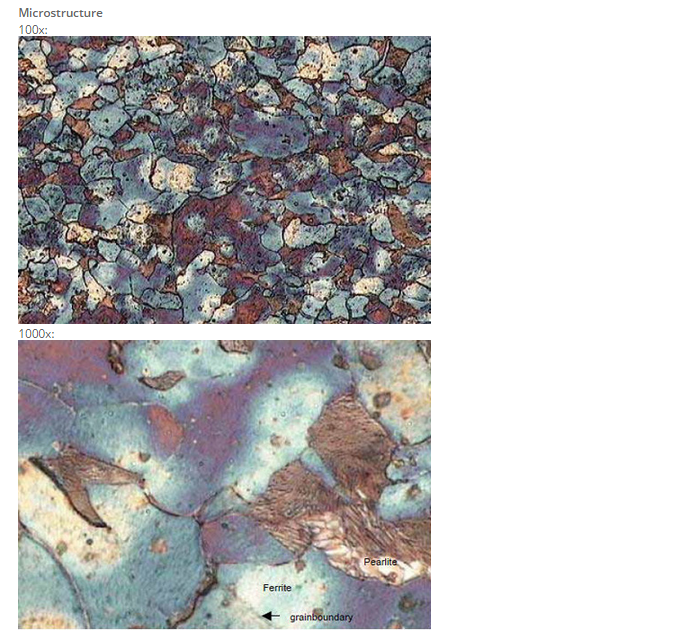 This phenomenon of Austenite transformation to martensite causes increased surface hardness and less wear rate loss. Carbon content plays a significant role in chromium carbide formation and its morphology as well as hardness, impact toughness and wear resistance. In this study, the effect of carbon content on the microstructure, mechanical properties and wear characteristics of HC-Wi has been studied and compared to the Hadfield steel. In the paper G.Yingfeng and J.Zhanpeng, the structure and properties of high chromium white cast iron in different treatment states were studied. 1. High chromium white cast iron has different matrix structures in different treatment states. There are austenite in casting state, pearlite in annealing state, martensite in quenching state, and tempered martensite in tempering state. All of them contain (Fe,Cr)7C3 type eutectic carbide. In this experimental condition, heat treatment has little effect on the carbide. Except casting sample, all the others contain secondary carbide, and martensite remains in quenching and tempering states. 2. The performance of the high chromium white cast iron changes according to its structure. The comprehensive performance depends on its matrix structure. The sample in annealing state has the lowest macro hardness. The shock tenacity values are high and the tenacity is high in casting and tempering states. Austenite has strong effect in preventing the crack’s expansion and has relatively better elasticity than that of martensite. 3. The shock tenacity and macro hardness of the samples are higher in tempering state than in quenching state. The tempered sample has better comprehensive performance. 4. Tempering at medium temperature (300°C) for a short period (one hour) can improve material’s performance. 3. G.Yingfeng, J.Zhanpeng: Study on the structure and properties of high chromium white cast iron and its tempering standard, J.Cent.South Univ.Technol., Vol.6, N°1, May 1999, p.8-12. 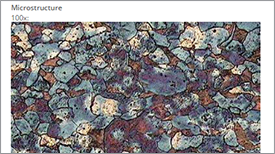 The Total Materia database contains a large number of metallography images across a large range of countries and standards. 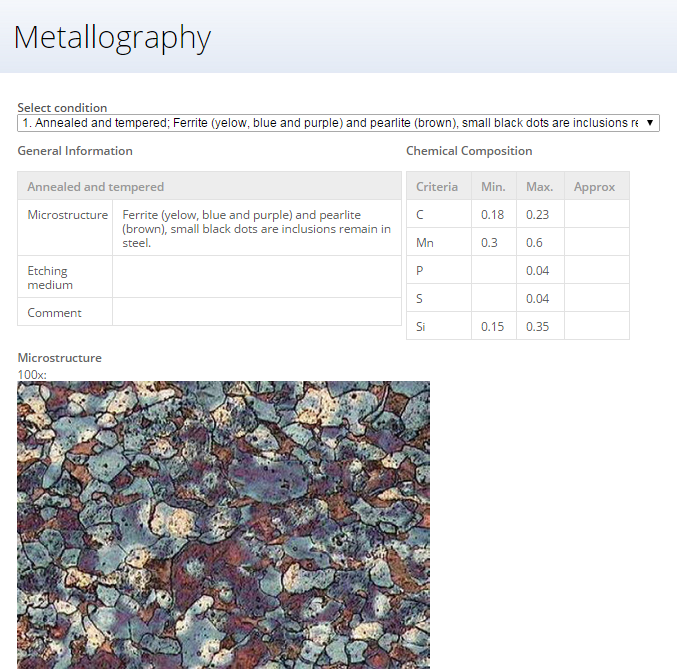 Using the specifically designed Metallography tab in the menu bar, you can select the material of interest to you from the list of materials with metallography data included. 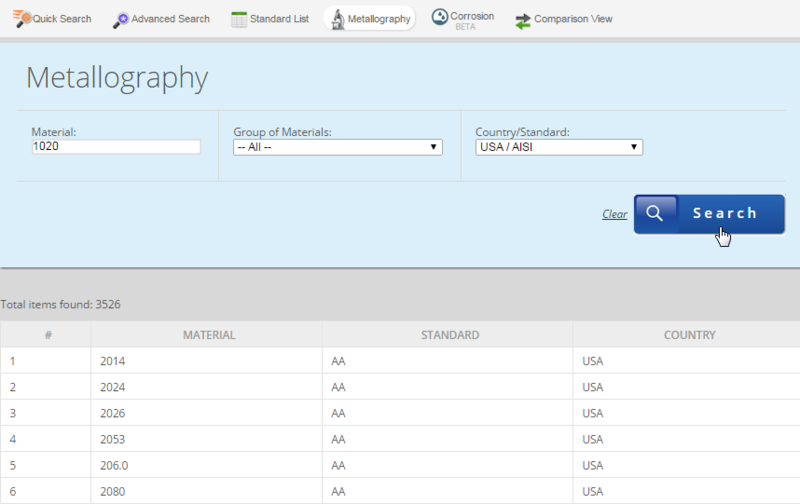 Metallography data can also be found through our standard quick search and will show relevant data is available through the standard Subgroup page for the material of interest. 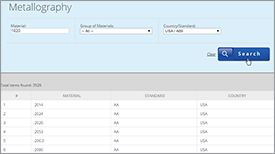 Simply enter your material designation in to the "Material" field and select the standard of interest if known, then click "Search". General information on microstructure can be found along with the relevant chemical composition for the material of interest. Where available, a series of images will be provided showing a range of structural detail at various levels of magnification. 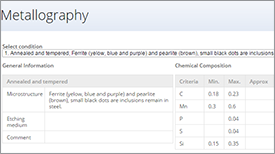 It is also possible to select different condition options from the "Select condition" drop-down to show metallography images under different process and heat treatment states.